In a cast iron skillet, cook the sausages until browned, remove and chop into small pieces and set in a large bowl. 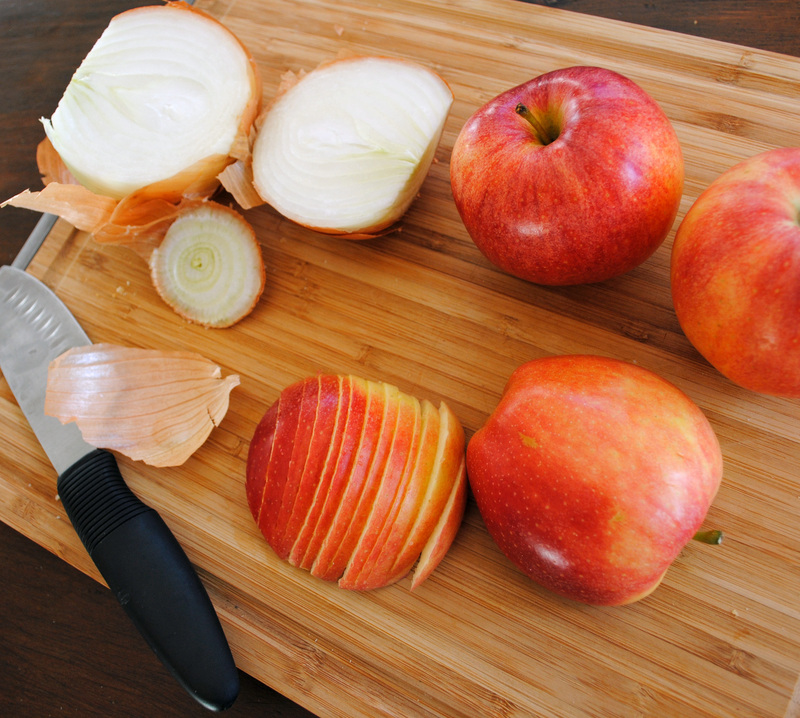 In the same skillet, melt half of the butter and add in onions, shallot, and apples to sauté until onions begin to soften. Remove from pan and add to sausage. Add the chicken stock to deglaze the skillet, scraping up any remaining onions and heat the chicken stock. 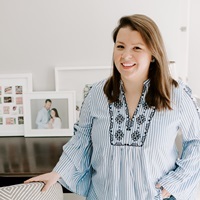 In the large bowl containing the sausage and onion mixture, add in celery salt and pepper, mix to combine and toss with cubed, stale cornbread. Slowly pour the warmed chicken stock over the cornbread mixture and begin to combine. Use 1.5-2 cups of the stock, depending on how dry your cornbread was to start. 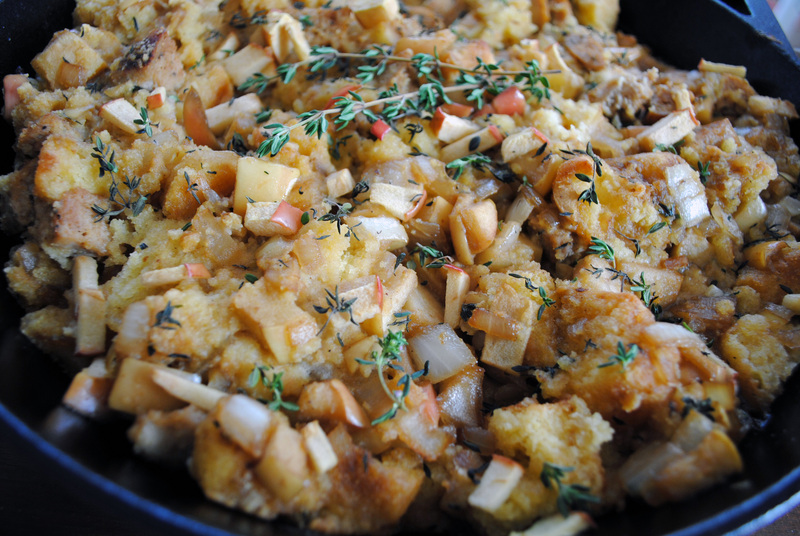 Add the cornbread stuffing back to the skillet. 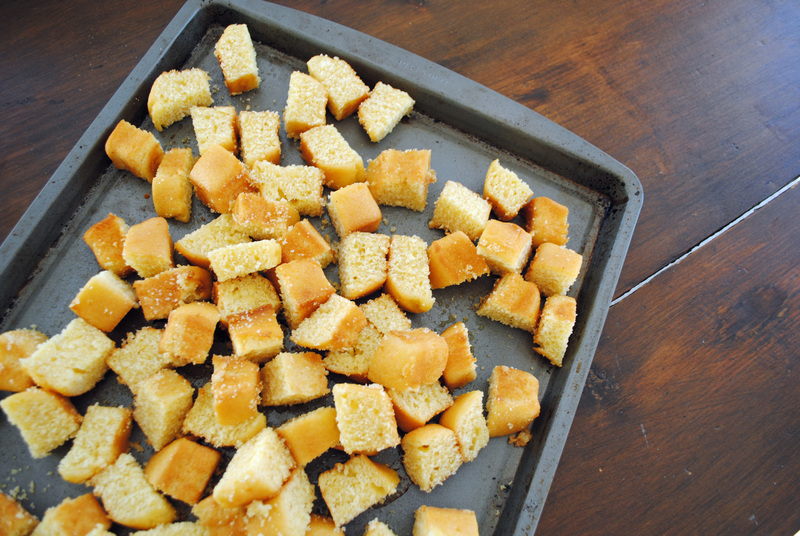 Melt remaining butter in a small dish and pour over the cornbread. 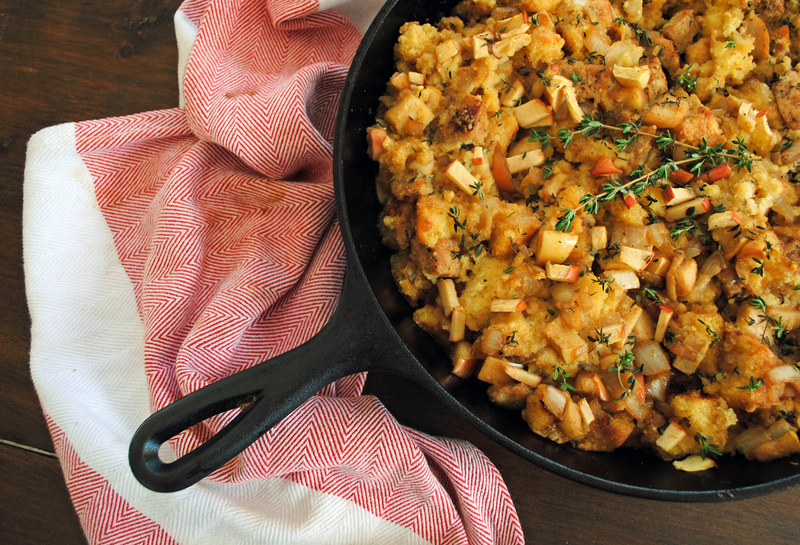 Bake the stuffing in the skillet for 20 minutes and garnish with fresh thyme leaves before serving. 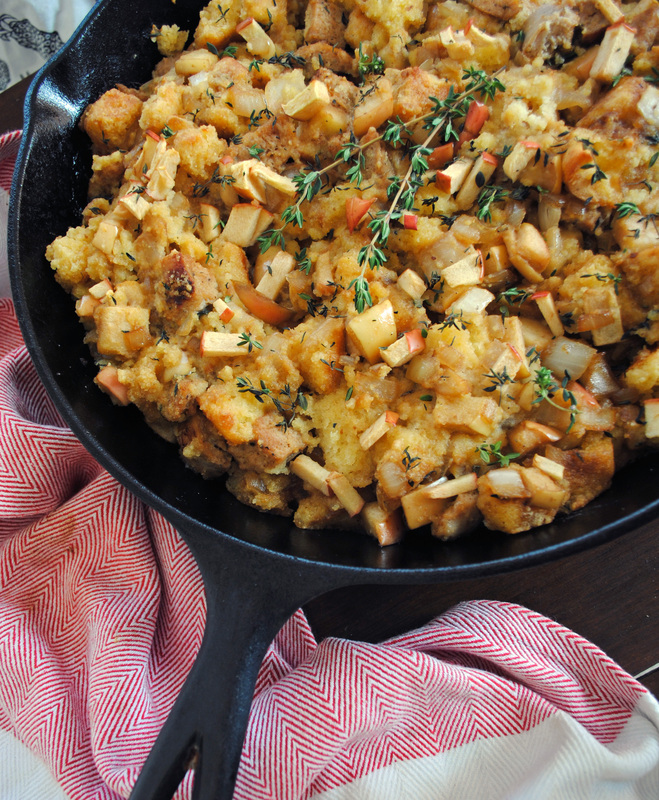 Maple Butternut Squash Brioche Stuffing. 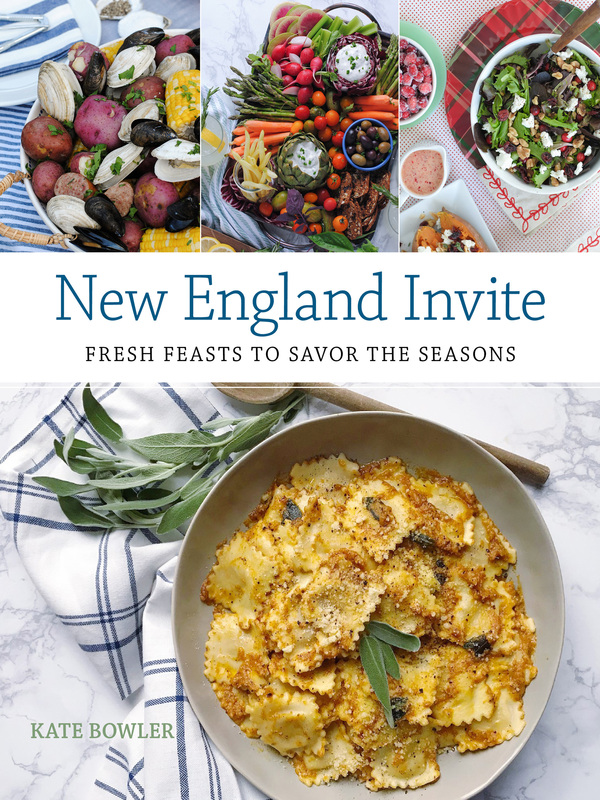 Improper Bostonian – Home for the Holidays.